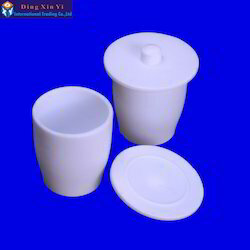 Pioneers in the industry, we offer vertical autoclave, laboratory instruments and teflon crucibles from India. Double wall Construction, inner body made of heavy gauge Stainless Steel argon welded. exhaust valve and safety valve is set to blow of 20 lb/sq/inch. A rubber gasket is fitted in the ring to ensure steam tight joints. 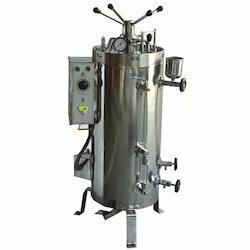 The Autoclave is supported with three cast iron study legs duly coated. 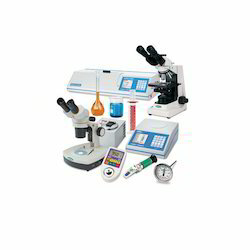 We are engaged in importing and exporting a wide range of Laboratory Instruments. These are used in a variety of R & D units, Schools, Institutes and others. All these instruments are made of superior quality material and have durable finish standards. We procure these instruments from reputed and experienced vendors of the market and provide superior range to our customers. Also, our customers can purchase these at competitive prices only from us. Single body made of heavy gauge Stainless Steel 304:15 Lbs. Pressure per/Sq/Inch. Electrically operated supplied with pressure gauge, release valve and safety valve. 0.035 mm accuracy 0.1 mm. We are one of the renowned suppliers of Teflon Crucibles, used for various Industrial and Commercial applications. These are sourced from reliable manufacturers of the Industry and are manufactured using quality basic material. Further, our team of dedicated professionals ensures that these crucibles confirms on stringent quality parameters and delivers high performance.